Here is the list of the hotels near Gomméville. Book your hotel near Gomméville today, Monday 13 May for the best price, reservation and cancellation free of charge thanks to our partner Booking.com, leader in on-line hotels reservation. Below here is the list the 50 closest hotels of Gomméville, sortable according your criteria. You will find the position of these accommodations on the Gommeville hotels map. 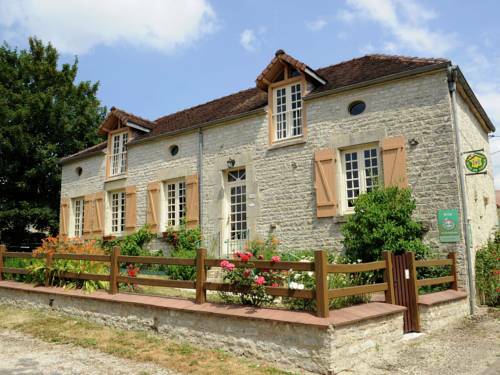 Located in Fralignes, Chambres d'hôtes Pivoine features free bikes and a garden. The bed and breakfast offers garden views, a terrace, and free WiFi is available throughout the property. At the bed and breakfast, every room has a terrace. 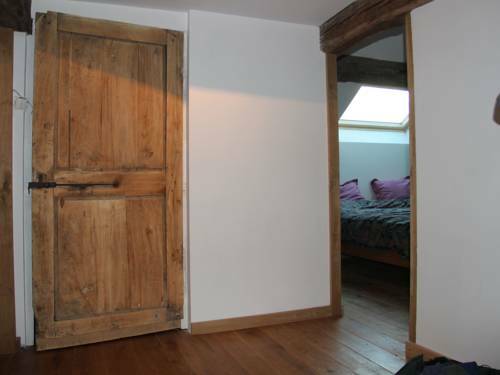 All rooms come with a private bathroom and a hair dryer, and certain units at Chambres d'hôtes Pivoine have a balcony. Guests at the accommodation can enjoy a continental breakfast. A selection of activities are offered in the area, such as cycling and hiking. Electric bikes can be rented on site. Troyes is 27 km from Chambres d'hôtes Pivoine, while Colombey-les-deux-Églises is 38 km from the property. The nearest airport is Vatry International Airport, 69 km from the property. Bed and Breakfast Fralignes Preferred hotel ! Set in Villy-en-Trodes in the Champagne - Ardenne region, Le Gîte de La Boderonne has a terrace. The holiday home features river views and is 32 km from Troyes. The holiday home has 4 bedrooms, a kitchen with a dishwasher, and 2 bathrooms. A flat-screen TV is provided. Hiking can be enjoyed nearby. Montier-en-Der is 50 km from the holiday home. Châlons Vatry Airport is 86 km from the property. Set in Rumilly-lès-Vaudes, One-Bedroom Holiday Home in Rumilly les Vaudes offers a private pool. The accommodation features free WiFi. This holiday home features a living room and a fully equipped kitchen with an oven and a microwave. A TV is featured. Guests can enjoy the indoor pool at the property. Troyes is 23 km from the holiday home. Châlons Vatry Airport is 83 km from the property. Hotel Chaource Preferred hotel ! Le Cadusia is set in Chaource, a town famous for its cheese in the heart of the Aube department. It is a 3-star hotel offering a rotisserie restaurant and a 100m² wooden terrace. Rooms at Le Cadusia are contemporary in style and feature large windows leading onto a private balcony. Each is air-conditioned and has an LCD TV with satellite channels. A buffet breakfast is served every morning and the hotel also has a contemporary à la carte restaurant. On sunny days guests can relax on the terrace and admire the views of the countryside. Additional facilities include free Wi-Fi access throughout the hotel and private underground parking. Tonnerre Train Station is 20 km from the hotel and Troyes is 30 km away. Le Charme aux Bois is an eco-friendly property located in Briel-sur-Barse, a 20-minute drive from Troyes. Free WiFi access and barbecue facilities are available in this holiday home. The accommodation will provide you with a TV and air conditioning. There is a full kitchen with a dishwasher and a microwave. Featuring a shower, private bathrooms also come with a bath and a bath or shower. You can enjoy garden view from all the rooms. An array of activities can be enjoyed on site or in the surroundings, including golfing, cycling and horse riding is possible in the centre opposite the property. Free parking is available on site and the property is a 10-minute drive from the lakes. The vineyards of the Champagne area are also a 10-minute drive away. Featuring free WiFi and a terrace, Les Champs Mélisey offers accommodation in Mélisey. The guest house has a sun terrace and views of the garden, and guests can enjoy a homemade meals made by the hosts. Free private parking is available on site. Every room is fitted with a private bathroom. You can play table tennis at this guest house, and the area is popular for cycling and hiking. Troyes is 43 km from Les Champs Mélisey, while Auxerre is 40 km from the property. Below here is the hotels map of Gomméville. Names and details of Gomméville hotels can be shown on the map clicking on the prices icons.